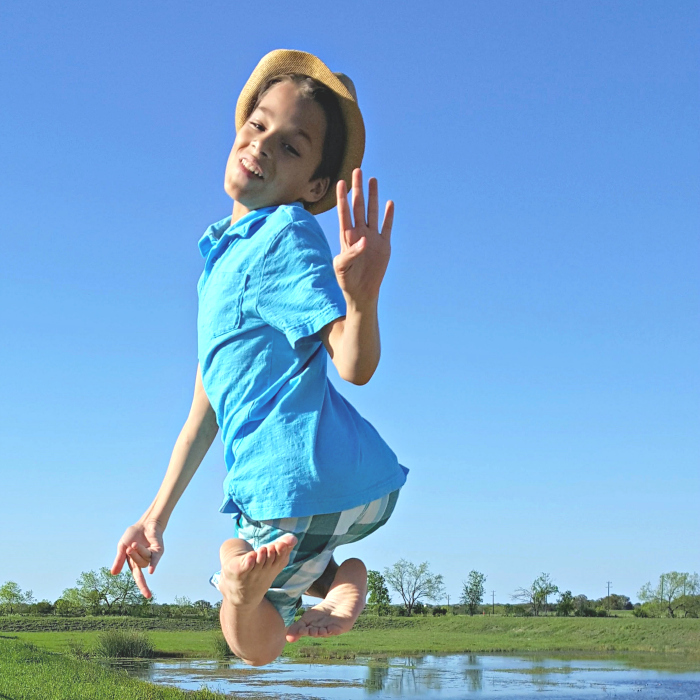 We just finished up our Spring break, but we are enjoying some typical, and often undecided, Spring weather here in the Austin area. It rained for a few days to interrupt the sunshine and blue skies, but now we are right back to a perfect 75 degrees, with not a rain cloud in sight! To celebr8 the perfect weather today, I took the kids out, in some of their new Crazy8 outfits, and we enjoyed the sun’s rays. 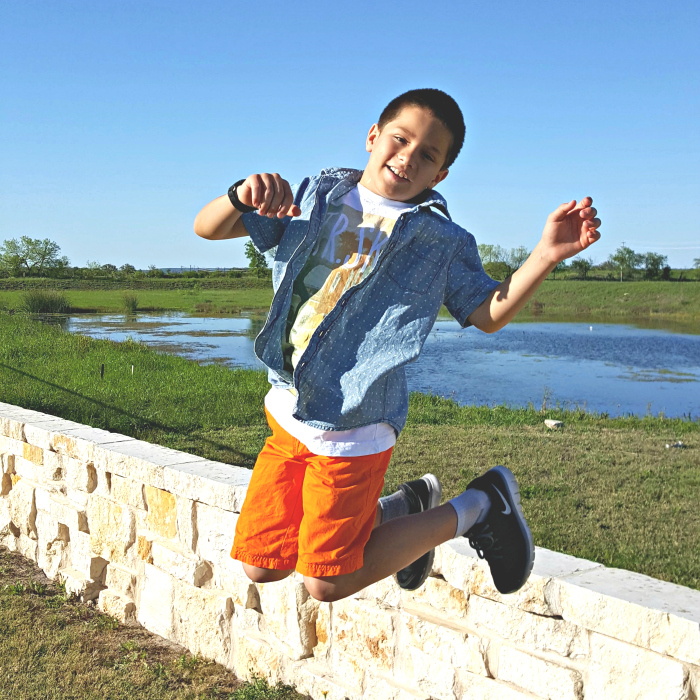 Noah is perfecting his jump (even with a bum ankle!) in the Later Skater outfit. Ben is wearing the Coolest Color outfit and was having way too much fun jumping high! Josh kicked up his heels in the Heat Wave outfit. Timmy wasn’t around this afternoon for our mini photoshoot, as he was watching his twin brothers’ first soccer game of the season, but he has worn his new outfit every single day since he received it earlier this week. (I’ve already washed it TWICE!) 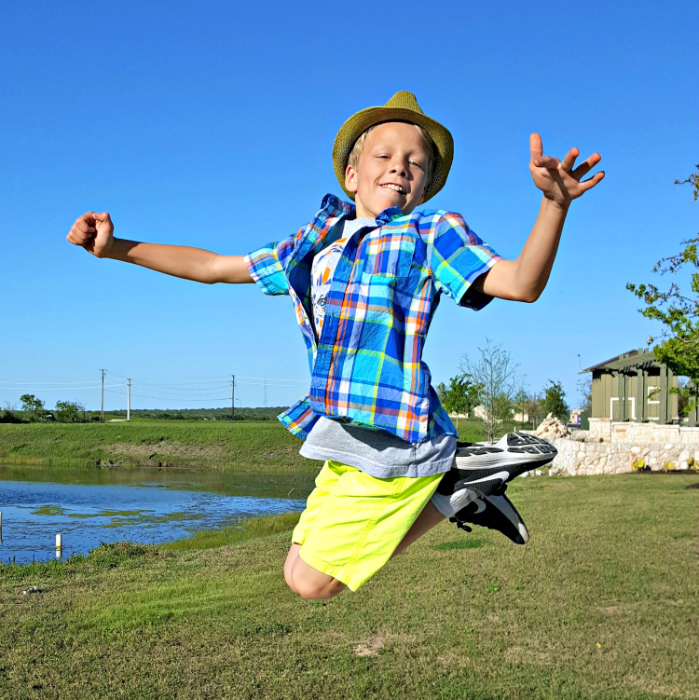 He got tons of compliments, but says he really wanted to wear his new clothes because they are “the most comfy clothes ever!” That’s a big deal for anyone, but especially a picky 5-year old! I’ll post some photos of him on Instagram in a few days. As I mentioned, we received all of my boys’ outfits shown here from Crazy8. I was pleasantly surprised by the great quality, super soft feel, and amazing value. 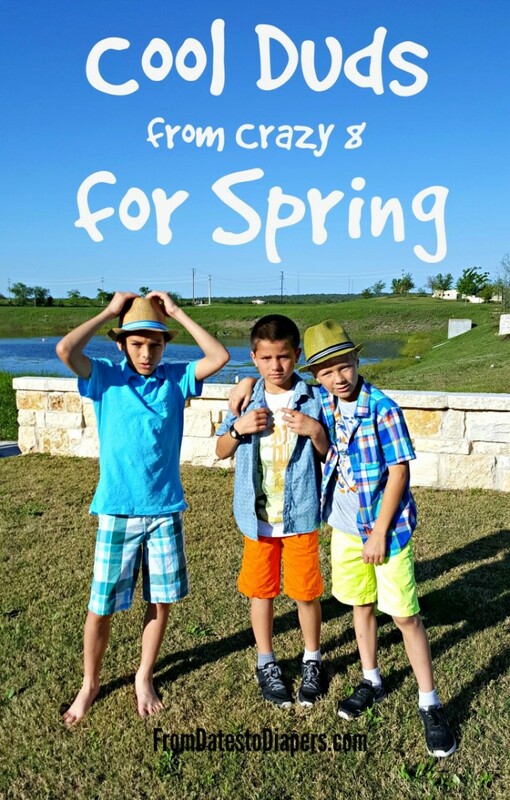 I am excited to purchase the boys’ summer clothes, especially with at Crazy8’s amazing sale prices. Boys can never have too many clothes! Disclosure: We received product in exchange for our honest review. All thoughts and opinions are ours.